Prince graduated from the University of Georgia School of Law and is admitted to practice in Georgia and Illinois. He also earned his B.B.A. from East Tennessee State University. Before becoming the Managing Partner at CP Law Group, Prince served as general in-house counsel to a private Atlanta-based behavioral health company. Prior to working as in-house counsel, Prince was an associate in two large civil defense law firms in Atlanta and Chicago. His prior experience serving on the defense side for pharmaceutical and insurance companies in pharmaceutical and medical device litigation, as well as complex personal injury and products liability cases, gives him a valuable perspective and insight into what it takes to be successful in pursuing personal injury claims. ● Trucking Accident Settlement in the amount of $2,200,000 – A trucking accident that resulted in the client being thrown from her vehicle. ● Premises Liability Settlement in the amount of $1,000,000 – An inadequately attached deck collapsed resulting in severe injuries, including broken bones, second- and third-degree burns from grills that were in use on the deck, and other permanently debilitating injuries. ● Auto Accident Settlement in the amount of $350,000 – Client suffered injuries in a motor vehicle accident that required two back surgeries. The client was left with a permanent disability. ● Auto Accident Settlement in the amount of $250,000 – Client suffered a neck injury that required surgery and use of plates and screws to stabilize the neck and vertebra. Prince is also active outside of his legal practice. 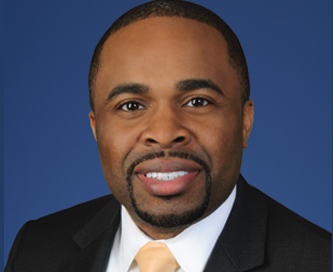 He holds the distinction of being a member of the Leadership DeKalb Class of 2018 as well as a graduate of the Georgia Bar Association Young Lawyers Division Leadership Academy. He has also served as Co-Chair of the Legislative Affairs Committee of the State Bar of Georgia’s Young Lawyers Division. Prince strongly believes in the importance of working closely with clients. He knows that the best way to relieve their stress is to give them the information and advice they need to move forward and attain great results. Call us today to schedule a free consultation with an attorney at CP Law Group. We can help you with your auto or truck accident, premise liability, medical malpractice or any other type of personal injury case.